The High North in a Time of Transition collects multiple perspectives on the lives of people in the High North of Norway at a point when the petroleum boom is no longer the dominant cultural feature of the region. 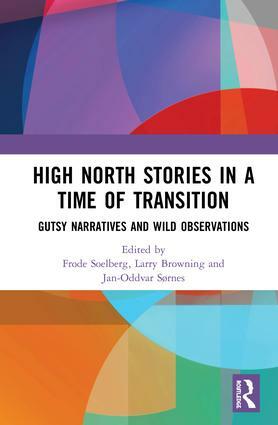 Utilizing constructivist grounded theory, the volume contains a rich variety of narrative accounts of fieldwork conducted with those living above the Arctic circle in the city of Bodø. The book will be of interest to scholars from fields including anthropology, narrative theory, and Arctic and Scandinavian studies. Frode Soelberg is Associate Professor in Marketing and Entrepreneurship, and Head of the MBA programs at the Nord University Business School, Norway. Larry Browning is a Professor in Management at Nord University Business School, Norway. Jan-Oddvar Sørnes is a Professor in Organizational Communication at Nord University Business School, Norway.